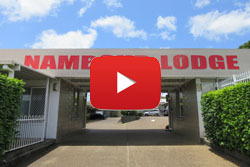 The Nambour Lodge Motel is conveniently located in the main street of Nambour, right across from the Courthouse. Coming from the South (Brisbane): Take the Nambour exit off the Bruce Highway on to the Nambour Connection Road. Follow this road into Nambour. Once you see KFC on the left hand side the Nambour Lodge Motel is approximately 150 metres further on the right hand side. Coming from the North (Gympie): Take the Nambour exit off the Bruce Highway onto Bli Bli Road. Turn left into Nambour Connection Road. This road changes into Currie Street. Follow Currie Street all the way through. 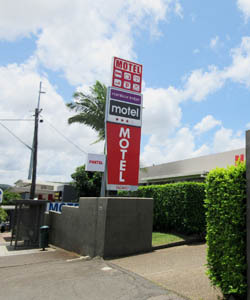 The Nambour Lodge Motel is on the left hand side immediately after the Salvation Army store.